Starring Maxine Peake, Rory Kinnear, Neil Bell, Pearce Quigley, David Moorst, Rachel Finnegan, Tom Meredith, Simona Bitmate, Robert Wilfort, Karl Johnson, Sam Troughton, Alastair Mackenzie, David Bamber and Tim McInnerny. 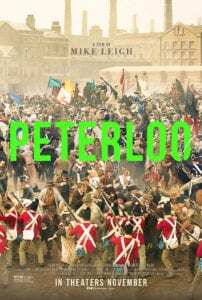 Peterloo is a film of both epic and regional importance, telling the tale of the massacre at St Peter’s Field in Manchester in August 1819 when 60,000 workers turned out to demand parliamentary reform and listen to sympathetic, radical orators. Its execution, though, is sadly a bit muddled. 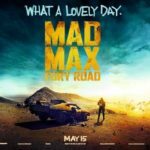 An interesting and important piece of history to translate to the screen, director Mike Leigh has probably overestimated the audience’s appetite for historical accuracy and multiple arguments: a good three-quarters of the film is given over to various groups of people having discussions and meetings in many different rooms, voicing their dissatisfaction. It’s only broken up by more panicked discussions among government officials. At over two and a half hours in length, this makes things a little hard-going. It’s a great British cast of who’s who (would you expect any less in a Mike Leigh film?) from Maxine Peake to Rory Kinnear to Tim McInnerny and David Bamber, but it is a little difficult to get a grasp of who the supporting characters actually are and the more nuanced points of view that some hold, other than the basic pro-reformers vs the government standpoint. Maxine Peake’s family – in all their full-throat Lancastrian glory – are introduced at the film’s beginning, as well as being one of the focuses at St Peter’s Field, thereby taking on the role of the sympathetic ‘everyfamily’ caught up in the upheaval but eager for the change their livelihoods so desperately need. The family’s son Joseph (David Moorst) opens the film, dragging himself – literally – home from the Napoleonic Wars, where he saw action at the battle at Waterloo. It’s a really fascinating idea to show the effects the fighting has had on him (something we’re aware of in the twenty-first century, but likely didn’t give a fig about in the early 1800s), as well as his limited prospects as a poor soldier in these harsh economic times. It also means he provides a literal and contextual link from the battleground at Waterloo to the carnage at St Peter’s Field, with which it was so infamously compared. Peterloo is packed to the rafters with real-life characters including orators who spoke at the protest, government officials who were seeking to squash it and journalists who reported on the aftermath of its tragic events. While authenticity and the power of speech are fine aims for Peterloo, it does not help in its signposting of who the major players were at that time. A lack of background on many figures during the film, while more natural, visceral and accommodating for character study, does mean that it would take more than one viewing of Peterloo to fully get a handle on who is who. Rory Kinnear is suitably self-serving and cool as orator Henry Hunt, whose motives for involvement in the protest are clearly two-fold, striving as he does to be noticed and written about in his white hat. Karl Johnson, an actor whose face you will recognise after years of TV shows such as Rome and Lark Rise to Candleford but might struggle to name, is outstanding as the seemingly timid but internally steely Lord Sidmouth, the Home Secretary. Tim McInnerny also deserves mention as a suitably grotesque and over-stuffed Prince Regent. 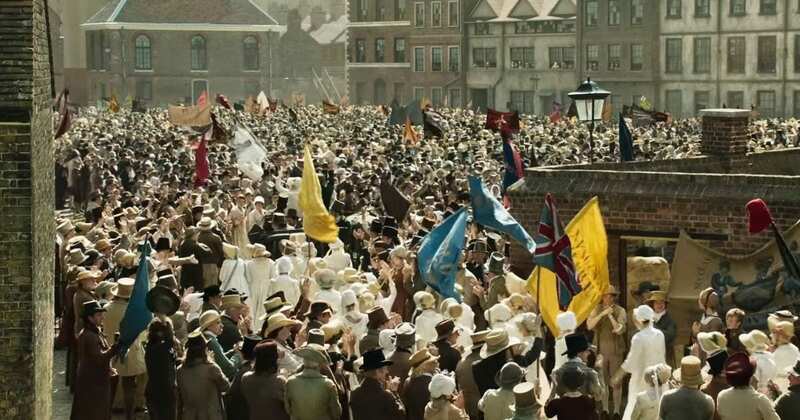 Its dense historical narrative hinders Peterloo’s watchability as a film but the events it retells are a compelling part of British history, and they are performed but a talented and wide-reaching cast.